Multi-metals small-cap developer, PNX Metals (ASX: PNX), is accelerating its push towards constructing a fully operational zinc-gold-silver mine. 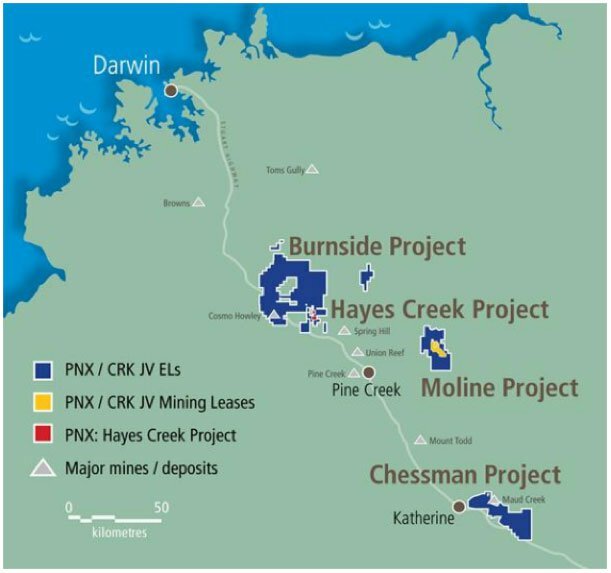 The $11 million capped PNX continues to tick its due diligence boxes at its Hayes Creek Project in the Pine Creek region of the Northern Territory and has seen a rush of news flow, including updated Minerals Resources for the project’s Iron Blow and Mt Bonnie deposits. The project is primarily focused on zinc, gold, and silver, yet also contains lead and copper. As of the last update, the project was showing over 1.1 million ounces gold equivalent, or 445,000 tonnes zinc equivalent. Meaning there may well be some upside to come in the near term as investors latch onto what this company is doing. The Project hosts total Mineral Resources of 4.1 million tonnes containing 177,200 tonnes of zinc, 238,000 ounces of gold, 16.2 million ounces of silver, 37,000 tonnes of lead, and 10,050 tonnes of copper, with 84.7% of the resources sitting in the Indicated category and 15.3% classified as Inferred. With $2.25 million in the bank at the end of the last quarter, the company is finalising its fully funded Pre-Feasibility Study (PFS), designed to expand on the successful Scoping Study completed in March 2016, which determined that mining and processing ore from the mine could generate strong financial returns. The Indicated component of the total Project Mineral Resource continues to support a proposed mine plan targeting 450ktpa over a 7 year mine life to produce approximately 35,000 tonnes ZnEq or 60,000oz AuEq as highlighted in the March 2016 Scoping Study. Leading up to the PFS, PNX will be busy in the June quarter completing mining optimisation studies and finalising metallurgical optimisation test work on Mt Bonnie and Iron Blow ore, as well as modelling information generated from the 2016 exploration season prior to planning for the 2017 dry season work program. Of course, this is an early stage, speculative play so investors should seek professional financial advice if considering this stock for their portfolio. PNX will also look to commence follow up drilling at its Moline Project to extend existing mineralisation, commence mineral resource estimation and attempt to pinpoint new regional gold and base metals drill targets. Completion of the PFS — due in late June — will provide more clarity around the Project’s potential, following the recent Resources upgrades at the Project’s Mt Bonnie and Iron Blow deposits. 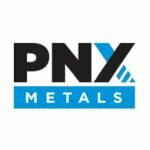 PNX Metals (ASX: PNX) is steadily progressing with the development of its Hayes Creek Project within the Pine Creek region of the Northern Territory. Together, the Iron Blow and Mt Bonnie Zn-Au-Ag deposits form the Hayes Creek Project, with the two deposits located less than three kilometres apart and situated on granted Mineral Leases wholly owned by the Company. The close proximity of the project to essential services and infrastructure, and high zinc and gold equivalent grades make for a potentially low cost, high margin operation featuring an attractive mix of readily extractable commodities. 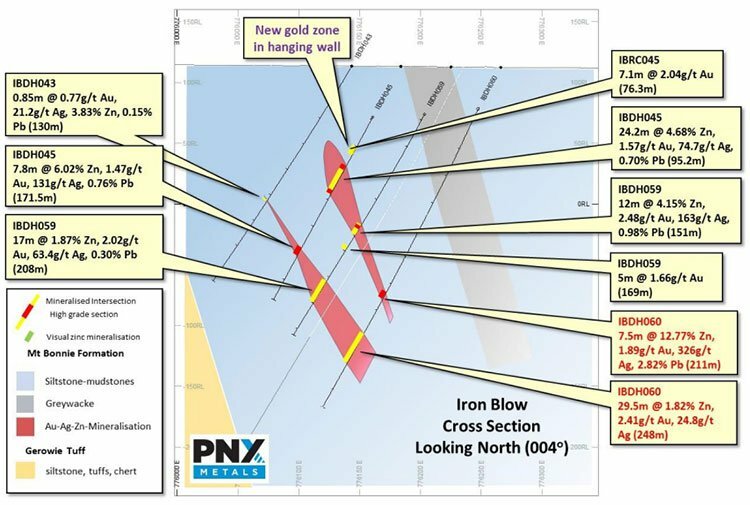 When we introduced you to PNX back in early March, the Company was finalising drill assays for its Iron Blow deposit and working towards an updated Mineral Resource estimate. This update follows the completion of a Mineral Resource estimate for the Iron Blow deposit reported by independent mining consultancy group CSA Global in accordance with the JORC Code and the earlier Mineral resources update at Mt Bonnie, completed in February. The Project Mineral Resources are summarised below and will be used as the basis for the Preliminary Feasibility Study (PFS) which is on schedule to be completed mid-2017. It is important to note the high percentage of ore in the Indicated category, as on completion of the PFS the Company expects to convert much of this Indicated Mineral Resource to a Probable Ore Reserve. It is yet to do this, however, so investors should seek all publicly available information and professional financial advice before making an investment decision. As we mentioned earlier, the Hayes Creek project now hosts 4.1 million tonnes containing 177,200 tonnes of zinc, 238,000 ounces of gold, 16.2 million ounces of silver, 37,000 tonnes of lead, and 10,050 tonnes of copper. This is equivalent to 445,000 tonnes of zinc equivalent (ZnEq) or 1.11 million ounces of gold equivalent (AuEq). High-quality diamond core and reverse circulation (RC) samples have substantially informed the Mineral Resource estimate. Assays from a 30-hole infill and extensional drill program completed earlier this year in January allowed for the resource upgrade to be finalised, with the majority of the existing resource estimate converted to the Indicated category in addition to providing further evidence that the deposit remains open at depth. The updated Mineral Resource at Iron Blow occurs from surface to approximately 270 metres with detailed open-pit and underground mining studies underway. The cross section from the image above can be seen on the Iron Blow drill program plan view (below) as the red hashed line. You can also see the superimposed surface projection of mineralisation from the recent Mineral Resource update. The recently reported assays are shown in yellow, along with assayed drill holes from previous drill programs in blue. Prior to releasing the updated Mineral Resources estimates the Company released the balance of drilling results containing some impressive intersections of massive sulphide mineralisation. 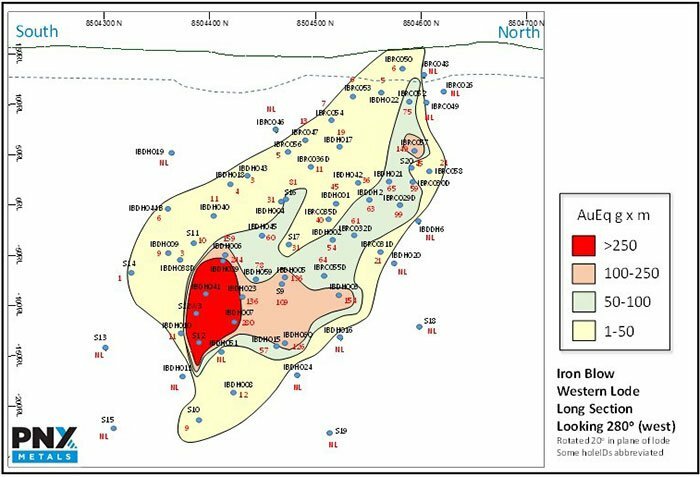 Long-sections views of the Iron Blow deposit were also reported – see below for the western lode showing a red ‘hot spot’ of very high combined metal grades less than 200m below the surface and part of a continuous zone of mineralisation. Prior to our last update in March, PNX released information on the Mt Bonnie Mineral Resource. The February update reported a significant increase in contained metals from the previous Resource estimate, with gold up by 28%, silver up by 15%, and zinc up by 7%, as well as the resource tonnes up by 20%. Importantly, 90% of the resource was also classified in the higher confidence Indicated category. Here’s an aerial view of Mt Bonnie looking east that shows a low grade stockpile in the foreground, historic open-pit centre, and a water storage dam at rear. PNX has completed detailed geotechnical studies at Mt Bonnie to generate open-pit and waste design parameters for inclusion in the PFS. This has allowed for modelling of material movements and waste and infrastructure placement on the site. Site layouts have been investigated and all envisaged mining infrastructure is able to be located within the existing 100% owned mineral lease boundaries, reducing the need for additional leases. In the proposed Mt Bonnie mining model zinc, gold and silver have all increased to the plant feed in comparison to the previous Scoping Study, and all Resources are from the Indicated portion of the deposit. No Inferred Resources have been utilised however these remain as further upside. Importantly the first phase of the Mt Bonnie locked cycle test work has also been completed with >50% zinc in the cleaner concentrates being achieved, this is a significant milestone as it demonstrates that the ore and the process are capable of generating high-value saleable concentrates. The other significant achievement is reducing the major penalty content down from 16-18% iron to 10% iron. Key process improvements have also been identified in regards to grinding and flotation parameters which will also feed into the PFS, positively impacting the operating and capital cost estimates. The proposed location and layout of the Process Plant, Infrastructure and Tailings facilities have been established and preliminary process design, mass balance, equipment list and plant layout are also complete. Vendor quotes for major equipment have been requested, and additional engineering is underway to allow for definition of all necessary inputs required to establish the Capital Cost Estimate. A significant part of any project under development is the various approvals required to ensure adherence to various State and Commonwealth Acts and conservation and protection of the environment and heritage values of an area. PNX is working its way through these processes and has completed all major studies required to support its Notice of Intent (the notification of a proposed operation) which is now complete and in draft form awaiting final submission. Given the nature of the proposed development at Hayes Creek and to maintain the project schedule, a scope of works is being developed to allow additional studies to commence to ensure future project timelines can be met. These are to commence in May and be completed by end of August and will allow the major Environmental Impact Statement reporting to commence in September. The next major catalyst for the Company is likely to be the Preliminary Feasibility Study (PFS), due for completion mid-2017. The PFS will incorporate this new resource at Iron Blow, the updated resource for Mt Bonnie, published earlier this year a few weeks ago along with new metallurgical optimisation data, and updated mining plans. Upon completion of the PFS, PNX expects to be in a position to convert much of the Resources to Ore Reserve — an important milestone for any aspiring development company serious about being a producer. One factor that is important not to dismiss when considering PNX as an investment is the fact that it has a diversified suite of commodities contained within its projects. Earlier estimates tipped approximately 60% of PNX’s projected future revenues to be derived from precious metals, with zinc providing the balance. Keep in mind that PNX has some way to go before its first revenues, and like all small-cap mining stocks, this is a speculative investment so apply caution if considering making an investment. 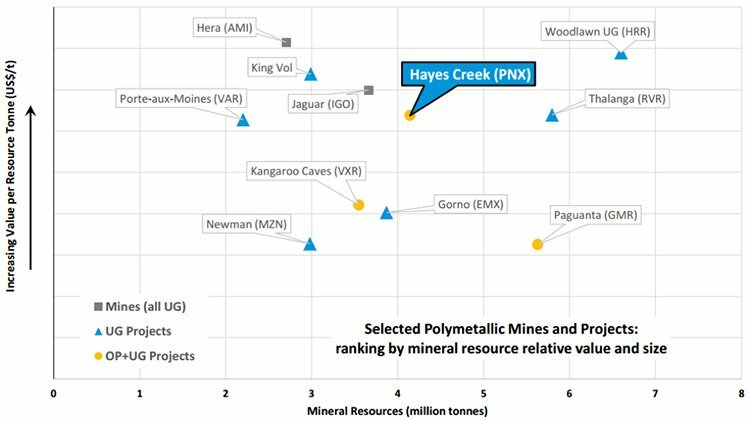 This means that once the Hayes Creek Project is up and running, PNX’s revenues won’t be at the mercy of any one commodity price movement. Having a variety of commodities in production reduces the volatility of a company’s earnings and allows a miner to adjust its production to maximise profitability. 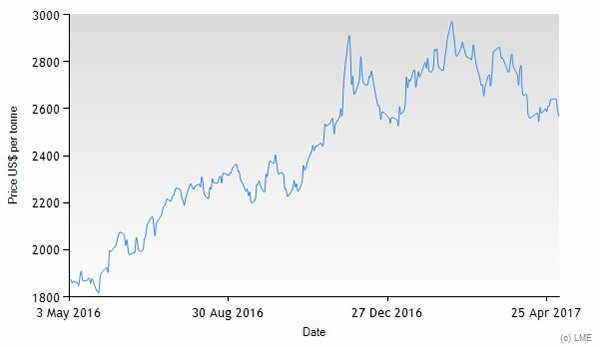 The zinc price has risen by around 35% over the past year, although it has pulled back some in the last few months. The Aussie dollar has been fairly stable over this time so the returns are similar in Aussie dollar terms. It should be noted however, that commodity prices do fluctuate and should not be the only basis for an investment in a speculative stock. Much of the reason for the recent strength in the zinc price is that China has been demanding large quantities of zinc for car making, steel production, and for building infrastructure— all driving the zinc price higher coupled with a shortage of supply due to shuttered mines by major producers. Gold, on the other hand, hasn’t had such a strong year. 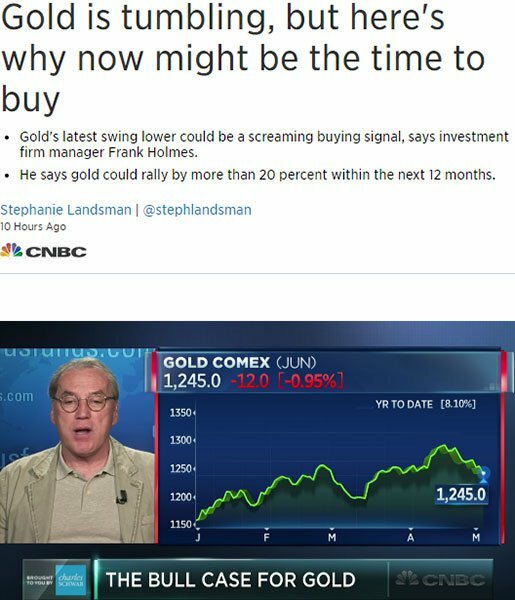 This article and video from CNBC explains that although the gold price has fallen in the last few weeks, there’s talk that its longer term rally could continue and rise by a further 20% in the coming year. These diverging price trends — zinc and gold — highlights the value in having a diversified commodities portfolio, from both an investor’s point of view, and for hopeful producers such as PNX. With further news flow on the cards, could PNX be in line for a re-rate? The mid-2017 target date for the completed Hayes Creek PFS becoming available is almost upon us, the results of which could prove to be a catalyst for the stock. Intersections confirmed so far do provide good reason to be optimistic. PNX is confident of its path to production, while it’s still only valued at just $11 million by the market. Getting in early on small cap developers that are able to progress to production is exactly where successful small cap investors stand out from the crowd. It’s still early days, but PNX looks to be taking all the right steps. 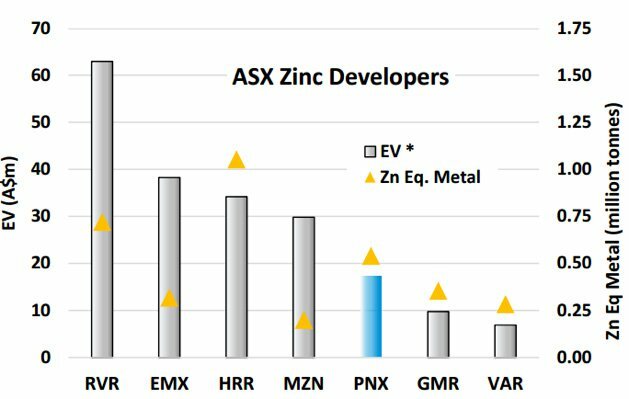 Is this Undervalued ASX Zinc Stock Ripe for a Re-rate?